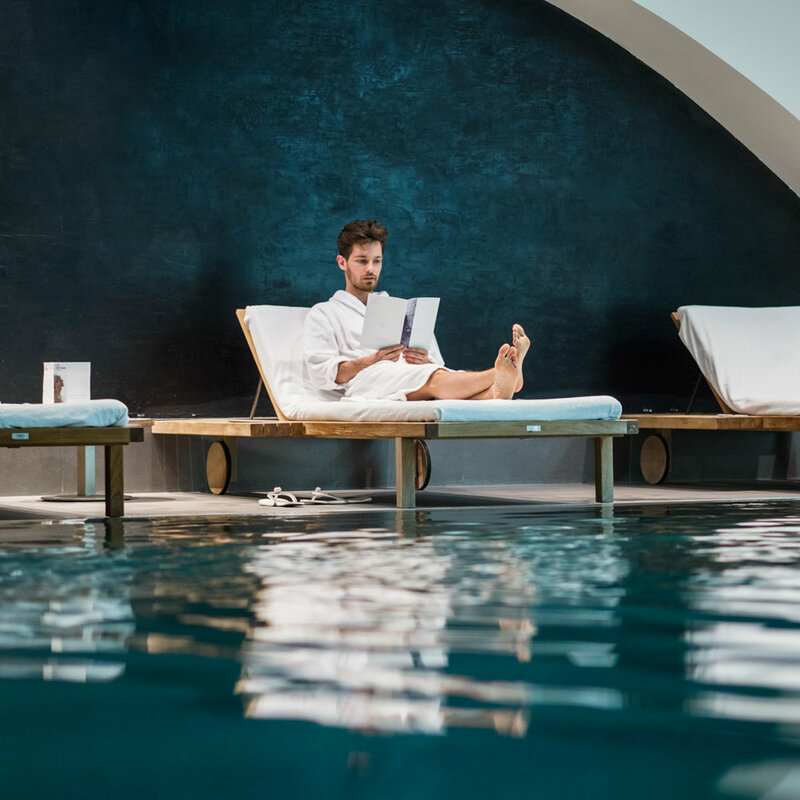 Cures Marines Trouville Thalasso & Spa shines with the ornate white stucco façade laden with a slate roof. The best view, in my opinion, is from the sea, which gives you an appreciation for its Belle Époque grandeur. The interior has been completely reinovated with high ceilings, three floors of bedrooms, two levels of spa, and a bar and lobby. Jean-Philippe Nuel has pulled off a somewhat delicate and sophisticated combination of contemporary design. As a self-styled beauty connoisseur, one of the places I had to visit was the Luxury Spa managed by Thalassa sea & spa. It has a large catalog of facial treatments and body care. My personal favorite was the “Measure Beflow,” and the one I recommend. It is a body shape calculator which uses the latest technology to guide you on the best treatments for your needs. If your face feels a little rough, you can try their Swiss cell facial. This is a deep facial with the help of many specialized creams. While you’re at it try the Chinese Tui Na. It combines traditional Chinese medicine to ease stress and fatigue. Upstairs is where the Le 1912 restaurant puts a modern spin on local produce. The main specialties are fish and shellfish, but they also serve vegetables and Normandy beef. 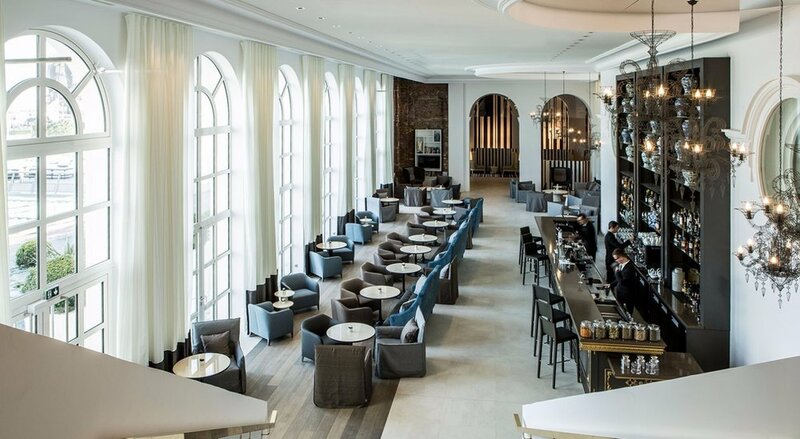 The Le bar d’Eugène is hard to miss with its high ceilings and large windows the perfect setting to relax over a cocktail. Its affordable and I loved nibbling on a few tapas style snacks while taking in the surroundings.